Dark clouds have been teasing The Circle City where I live, obviously displaying nimbus clouds, but not surrendering any water. 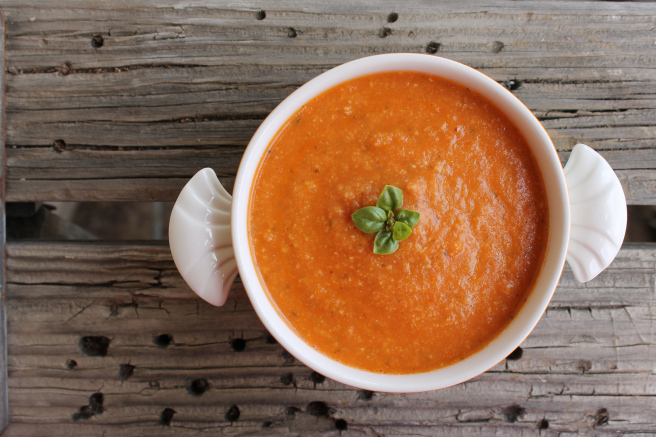 Days like this, that refuse to let the sun shine, make me want to cook some savory soup for my family. 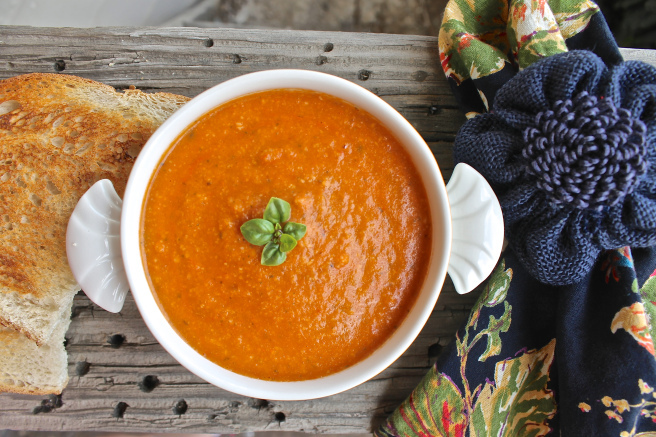 Nothing brings me back to my Southern roots quicker than tomato soup and grilled cheese sandwiches! This was always a quick comfort meal growing up. 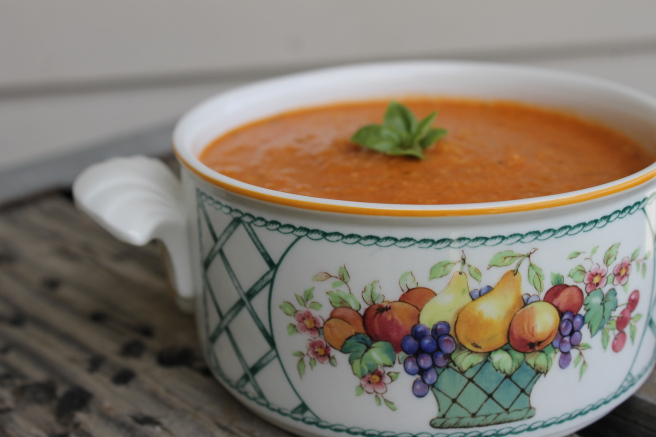 On this Fresh Friday I want to share a delicious tomato soup that the family loved. I can’t take credit for this recipe, because I found it on a wonderful blog, The First Mess. Yes, this beautiful vegan is brilliant! I did not modify anything. It was fun to cook, and the soup speaks for itself. Click on this link and enjoy. I know you will love it. Thanks Andrew, I appreciate your support!!!! !